Created in May 1966, the BBA – or the Agrément board as it was known then – has undergone a number of changes, gradually expanding its testing, inspection and certification services to other product areas. Its remit may have widened throughout the years, but the BBA’s objective remains the same as the day it originated – to provide a mark of quality, safety and reliability that gives customers reassurance of the product’s fitness-for-purpose. Only products and systems that have passed a series of comprehensive assessments – including laboratory tests, onsite evaluations, quality management checks and inspections of production are awarded an Agrément Certificate. The issue of certification isn’t the end of the story – it is only the beginning. Once the Certificate is issued, BBA carries out regular monitoring to maintain its validity. A product’s classification continues under the microscope with a comprehensive, three-yearly BBA review. The BBA is an independent non-profit distribution organisation. It continues in its ambition to ‘provide reassurance to the construction industry that manufacturers’ products, systems and procedures are fit for purpose’. 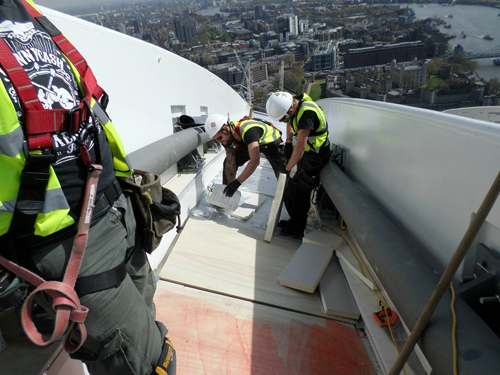 Its aim to help improve standards throughout the construction industry involves collaboration with organisations such as European Organisation for Technical Assessments (EOTA) and the Westminster Sustainable Business Forum (WSBF). This enables the BBA to have influence on policy development, whilst working to help reduce technical barriers to cross-border construction trading throughout Europe. 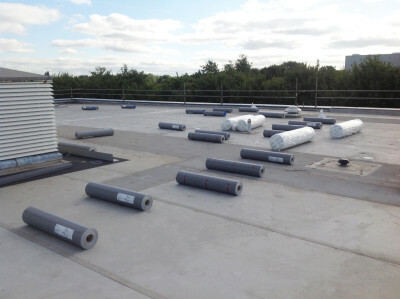 Product information: The membrane is suitable for use as a loose-laid roof waterproofing system, ballasted to prevent wind uplift on inverted flat roofs with limited or pedestrian access, and green roof and roof garden applications. Sika-Trocal SGmA can be mechanically attached where there is insufficient ballast / weight to resist wind uplift. – The product comprises polyvinyl chloride and glass which can be recycled. – Accelerated weathering tests and performance in use confirm the product will have a life in excess of 35 years. – The product is resistant to root penetration and can be used in a roof waterproofing system for roof gardens and green roofs. 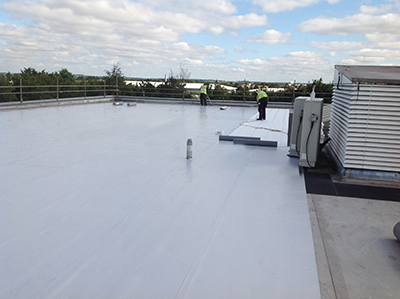 Product information: The membrane is suitable for use as adhered roof waterproofing on pitched, flat and curved roofs with limited access. – Results confirm the membrane and joints in the membrane when completely sealed and consolidated will adequately resist the passage of moisture to the inside of the building and so meet the requirements of the National Building Regulations. – The product is impervious to water and, when used in the system described, will achieve a weathertight roof capable of accepting minor structural movement without damage. Product information: The membranes are mechanically-fastened and suitable for use as a mechanically-fixed roof waterproofing on pitched, flat and curved roofs of less than 20m radius and with limited access. – The products are impervious to water. – When completely sealed and consolidated the membranes and joints within will adequately resist the passage of moisture to the inside of the building and so meet the requirements of the National Building Regulations. – The membranes will have a life in excess of 35 years.